Opened the year with Triple-A Syracuse of the Nationals organization, where he hit .228 (21-for-92) over 24 games prior to fracturing his left toe on 4/28...Placed on the Syracuse 7-day disabled list on 4/29 before being recalled to Washington and transferred to the 60-day disabled list on 5/16...Made a pair of rehabilitation appearances, the first of which was a one-game stint with the GCL Nationals (0-for-2, K) on 7/5. He followed with a nine-game stretch with High-A Potomac, hitting .321 (9-for-28) with six runs, one double, one homer, four RBI and six steals from 7/6-18...Activated from the 60-day disabled list and optioned to Syracuse on 7/25...Hit .375 (45-for-120) with a .424 on-base percentage over the next 33 games with the Chiefs, stroking 12 extra-base hits and swiping 18 bases...Claimed off waivers by the New York Yankees on 9/22 and spent the remaining week of the regular season with the club, appearing in four games and making a pair of starts...Hit .200 (2-for-10) with a pair of runs and a stolen base with New York...Compiled 26 steals through his three stops in the minors, giving him 20-or-more stolen bases in each of his last five minor-league seasons and in 6-of-8 professional campaigns overall...Stroked a minor league career-high-tying four hits on 4/25 at Louisville while with Syracuse, going 4-for-5 with a double, an RBI and a pair of runs for his ninth-career four-hit game...Worked his way to a .405 average (30-for-74) over 21 games in the month of August with Syracuse, with 11 runs, six doubles, one triple, five RBI and seven steals. Hit .300 and swiped 23 bags in 96 games with Syracuse...enjoyed a pair of stints with the Nationals...started 2 games for Washington (May 14 at LAD, Sept. 29 at ARI)...lone MLB hit (infield single) came in season finale...while with Syracuse, posted career highs with 7 homers and 30 extra-base hits (18 doubles, 5 triples)...hit .366 against LHP, .351 with runners on base and .306 with RISP for the Chiefs. Advanced as far as Triple-A for the first time and hit .333 with 20 stolen bases in just 40 Triple-A contests...was recalled by Washington on Sept. 1 and served primarily as a pinch runner...made MLB debut that night vs. STL...hit .314 overall to rank 2nd among Nationals full-season farmhands in '12...paced Washington's system with 51 stolen bases. With Potomac, hit .283 and ranked 2nd among Nationals farmhands with 45 stolen bases in first season in Single-A Carolina League ... 45 stolen bags also ranked 2nd in the CL, as did 108 singles. Led Nationals minor leaguers with 64 stolen bases in 131 games with Hagerstown ... those 64 swipes also rated second in professional baseball ... participated in the XM All-Star Futures Game ... following the season, hit .345 with 21 stolen bags in 37 games with the Escogido Lions and was named 2010 Dominican Winter League Rookie of the Year. In first domestic campaign, hit .381 for the GCL Nationals to win the Rookie-level Gulf Coast League batting title and MVP honors ... helped the Nationals' Rookie-level affiliate win the Gulf Coast League Championship ... led the GCL with 69 hits and a .443 on-base percentage...capped the regular season riding a 27-game hitting streak (48-for-110, .486) ... played flawless defense. Hit .321 to rank 8th in the Dominican Winter League in repeat season in homeland ... ranked fifth in DSL with 51 runs. In 51 games during professional debut with the DSL Nationals, posted a remarkable .399 OBP in just 51 games thanks primarily to 37 walks. April 16, 2019 RF Eury Perez assigned to Olmecas de Tabasco. April 3, 2019 Guerreros de Oaxaca signed free agent OF Eury Perez. April 3, 2019 Guerreros de Oaxaca released OF Eury Perez. November 24, 2018 Yaquis de Obregon placed OF Eury Perez on the reserve list. November 4, 2018 OF Eury Perez assigned to Yaquis de Obregon. November 2, 2018 RF Eury Perez elected free agency. October 13, 2018 OF Eury Perez assigned to Leones del Escogido. September 4, 2018 Sacramento River Cats activated RF Eury Perez from the 7-day disabled list. August 22, 2018 Sacramento River Cats sent CF Eury Perez on a rehab assignment to AZL Giants Black. July 13, 2018 Sacramento River Cats placed RF Eury Perez on the 7-day disabled list. May 30, 2018 Sacramento River Cats activated LF Eury Perez from the 7-day disabled list. May 22, 2018 Sacramento River Cats placed LF Eury Perez on the 7-day disabled list. April 18, 2018 LF Eury Perez assigned to Sacramento River Cats. February 23, 2018 OF Eury Perez assigned to San Francisco Giants. November 6, 2017 LF Eury Perez elected free agency. October 14, 2017 OF Eury Perez assigned to Leones del Escogido. August 4, 2017 LF Eury Perez assigned to New Orleans Baby Cakes. August 3, 2017 Pittsburgh Pirates traded LF Eury Perez to Miami Marlins for cash. June 13, 2017 LF Eury Perez assigned to Indianapolis Indians from West Virginia Black Bears. May 26, 2017 LF Eury Perez assigned to West Virginia Black Bears from Indianapolis Indians. April 27, 2017 LF Eury Perez assigned to Indianapolis Indians. December 16, 2016 Pittsburgh Pirates signed free agent LF Eury Perez to a minor league contract and invited him to spring training. December 16, 2016 LF Eury Perez assigned to Indianapolis Indians. November 7, 2016 LF Eury Perez elected free agency. October 24, 2016 OF Eury Perez assigned to Leones del Escogido. September 6, 2016 Durham Bulls activated LF Eury Perez from the temporarily inactive list. August 18, 2016 Durham Bulls placed LF Eury Perez on the temporarily inactive list. July 29, 2016 LF Eury Perez assigned to Durham Bulls from Charlotte Stone Crabs. July 20, 2016 LF Eury Perez assigned to Charlotte Stone Crabs from Durham Bulls. June 23, 2016 Houston Astros traded LF Eury Perez to Tampa Bay Rays for cash. June 23, 2016 LF Eury Perez assigned to Durham Bulls. June 16, 2016 Fresno Grizzlies activated OF Eury Perez from the temporarily inactive list. June 13, 2016 Fresno Grizzlies placed OF Eury Perez on the temporarily inactive list. April 5, 2016 OF Eury Perez assigned to Fresno Grizzlies. January 30, 2016 OF Eury Perez assigned to Dominican Republic. January 1, 2016 Houston Astros signed free agent Eury Perez. December 2, 2015 LF Eury Perez elected free agency. November 23, 2015 OF Eury Perez assigned to Leones del Escogido. October 5, 2015 Atlanta Braves recalled LF Eury Perez from Gwinnett Braves. September 28, 2015 Gwinnett Braves activated LF Eury Perez from the 7-day disabled list. August 24, 2015 Atlanta Braves optioned LF Eury Perez to Gwinnett Braves. June 18, 2015 Atlanta Braves recalled Eury Perez from Gwinnett Braves. March 27, 2015 Atlanta Braves optioned CF Eury Perez to Gwinnett Braves. January 23, 2015 Atlanta Braves claimed Eury Perez off waivers from New York Yankees. January 16, 2015 New York Yankees designated CF Eury Perez for assignment. October 28, 2014 CF Eury Perez assigned to Leones del Escogido. September 22, 2014 New York Yankees claimed CF Eury Perez off waivers from Washington Nationals. September 18, 2014 Washington Nationals designated CF Eury Perez for assignment. September 1, 2014 Syracuse Chiefs activated CF Eury Perez from the temporarily inactive list. August 29, 2014 Syracuse Chiefs placed CF Eury Perez on the temporarily inactive list. July 25, 2014 Washington Nationals optioned CF Eury Perez to Syracuse Chiefs. 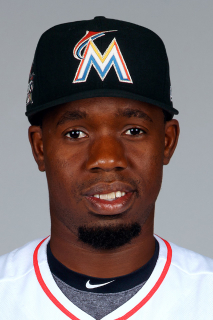 July 19, 2014 Washington Nationals sent LF Eury Perez on a rehab assignment to Syracuse Chiefs. July 6, 2014 Washington Nationals sent CF Eury Perez on a rehab assignment to Potomac Nationals. July 5, 2014 Washington Nationals sent CF Eury Perez on a rehab assignment to GCL Nationals. May 16, 2014 Washington Nationals recalled CF Eury Perez from Syracuse Chiefs. May 1, 2014 Syracuse Chiefs placed CF Eury Perez on the 7-day disabled list. March 17, 2014 Washington Nationals optioned CF Eury Perez to Syracuse Chiefs. September 3, 2013 Washington Nationals recalled Eury Perez from Syracuse Chiefs. July 9, 2013 Eury Perez roster status changed by Syracuse Chiefs. June 26, 2013 Syracuse Chiefs placed CF Eury Perez on the 7-day disabled list retroactive to June 24, 2013. May 21, 2013 Washington Nationals optioned CF Eury Perez to Syracuse Chiefs. May 11, 2013 Washington Nationals recalled Eury Perez from Syracuse Chiefs. April 23, 2013 Eury Perez roster status changed by Syracuse Chiefs. April 14, 2013 Syracuse Chiefs placed CF Eury Perez on the 7-day disabled list. March 14, 2013 Washington Nationals optioned CF Eury Perez to Syracuse Chiefs. October 15, 2012 Washington Nationals activated CF Eury Perez. September 1, 2012 Washington Nationals recalled Eury Perez from Syracuse Chiefs. July 20, 2012 Eury Perez assigned to Syracuse Chiefs from Harrisburg Senators. June 23, 2012 Eury Perez roster status changed by Harrisburg Senators. June 18, 2012 sent CF Eury Perez on a rehab assignment to GCL Nationals. June 11, 2012 Harrisburg Senators placed CF Eury Perez on the 7-day disabled list. March 15, 2012 Washington Nationals optioned CF Eury Perez to Harrisburg Senators. November 18, 2011 Washington Nationals selected the contract of Eury Perez from Potomac Nationals. May 4, 2011 Eury Perez roster status changed by Potomac Nationals. April 22, 2011 Potomac Nationals placed CF Eury Perez on the 7-day disabled list. April 4, 2011 CF Eury Perez assigned to Potomac Nationals from Hagerstown Suns. March 8, 2011 OF Eury Perez assigned to Washington Nationals. October 22, 2010 OF Eury Perez assigned to Leones del Escogido. April 7, 2010 Eury Perez assigned to Hagerstown Suns from GCL Nationals. May 29, 2009 Eury Perez assigned to GCL Nationals from DSL Nationals. April 13, 2007 Washington Nationals signed free agent CF Eury Perez to a minor league contract.